If you have ever seen several martial artists doing the same series of moves together, that was likely a kata. With the correct understanding, this type of training helps the student build the correct form, or body positioning. When done properly, as intended in a life protection art, kata builds self defense. It is the safest type of karate training. That’s because it allows the student to practice full speed, full power techniques. Yet this solo training, without a partner, makes injury very unlikely. Some styles and schools have veered off the course of life protection. Instead of practicing moves that work for self defense, they practice moves that look artistic or symmetrical. When they pause in a step, they make sure their kata looks pretty. Because of this, they may be able to do very well in tournaments. For some students and styles this is enough. In Ryukyu Kempo, we continue the path for which which our life protection art was originally created. That is to teach the student self defense. We don’t care how it looks; we care if it works. Our specialty is using natural body motion. We train in working from strong positions. In training, our kata builds self defense. Ironically, it ends up looking pretty. Not because we have specifically artistic positions. But because you can see the power and the agility that natural body motion allows and cultivates in the student. I use the term “self defense” more than “life protection” simply because it is more widely understood. And it is accurate to say that Ryukyu Kempo is highly effective for self defense. However, we expect practitioners to go farther than that. First you learn to defend yourself. Then you become stronger and more skilled. While honing your self defense skills, you learn to protect others as well. Thus it is a life protection art. 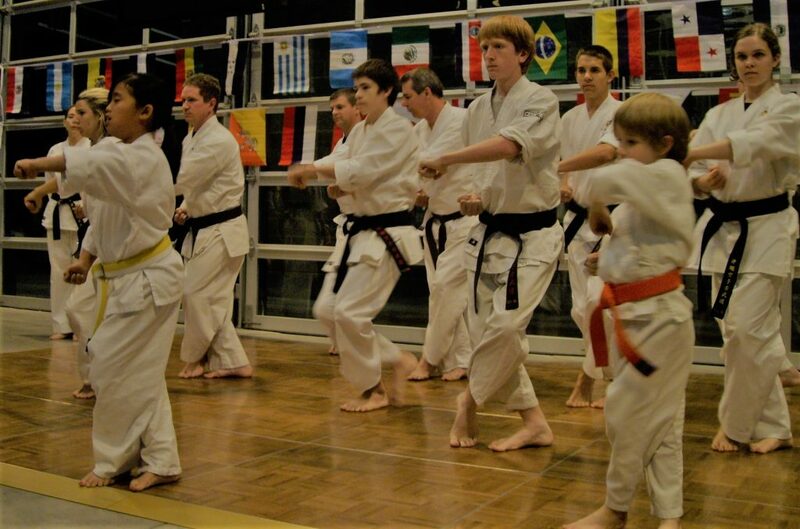 Kata builds self defense along with many other forms of training in our curriculum. A good definition of kata is that it is an exercise of habits. What are those habits? Thanks to Allan Amor Kaicho, we United Ryukyu Kempo Alliance instructors can tell you. They are: structural integrity; coring; observe, plan and execute; efficiency and proficiency; and weight lead. And we can help you instill those good habits so your kata builds self defense. You can even apply the principles of these habits to improve other areas of your life, not just your karate. Not all kata practice will build self defense. However, kata builds self defense when training in a life protection art with skilled and trained instructors. Kata is the safest form of training to instill good habits in the student. That is one of the reasons why our kata have been passed down for hundreds of years. And why we still practice them to this day.